On Aug. 22, 2000, Louisiana State University entomologist Gregg Henderson made a troubling discovery. He was conducting a termite inspection of the Ernest N. Morial Convention Center in New Orleans, just outside the historic French Quarter, hard by the banks of the Mississippi River. 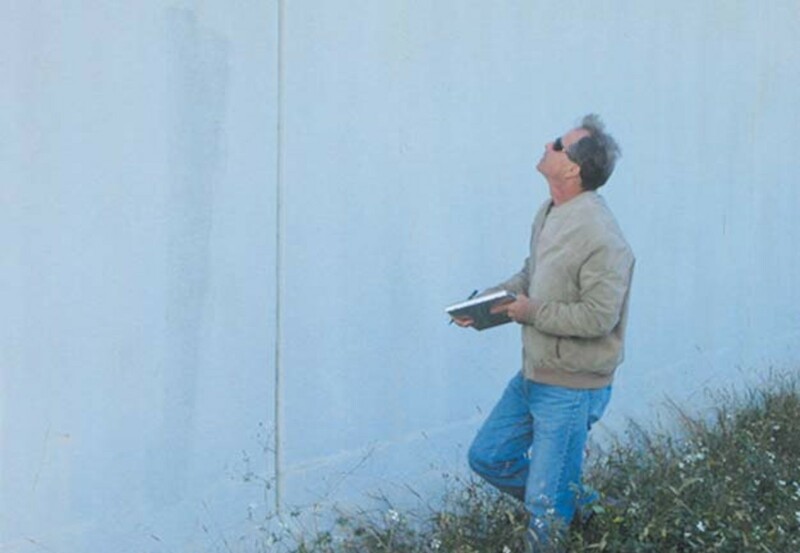 Although Henderson couldn&apos;t find any live termites inside the convention center, he did see them on the cinderblock walls ringing nearby parking lots and many of the trees on the property. He turned his back to the building and walked toward the water, and that, he says, is when he got scared. That night, Henderson called a local television reporter who, in turn, interviewed the local U.S. Army Corps of Engineers officers about the termites. In the news piece that aired, the corps&apos; Brian Keller said his engineers had themselves uncovered the termites&apos; presence only recently, and the pests were in levees stretching up and down the banks of the Mississippi around New Orleans. In fact, he told the television cameras, "to our surprise, there were termites at every location that we tested." But engineers expressed confidence that the floodwalls would not fail. 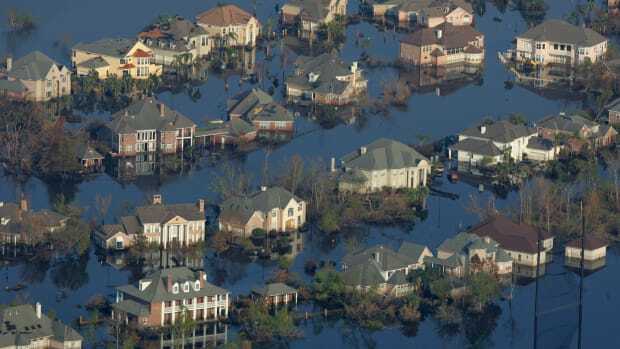 In late August 2005, almost exactly five years to the day after Henderson&apos;s initial discovery, the floodwalls did fail as Hurricane Katrina, one of the country&apos;s worst natural disasters, swept across the Gulf Coast. The federal flood protection system in New Orleans crumbled in more than 50 locations; eventually, 80 percent of the city flooded, and more than 700 lives were lost. "I had this sinking feeling as I listened to the news reports during Katrina," Henderson said this past autumn in a telephone interview, the distress still evident in his genial bayou twang. "When I got back into it, I kinda felt guilty that I wasn&apos;t more involved at the time. Finding them in the floodwall was a discovery, but it was not my original research. It&apos;s an engineering issue, a floodwall issue. 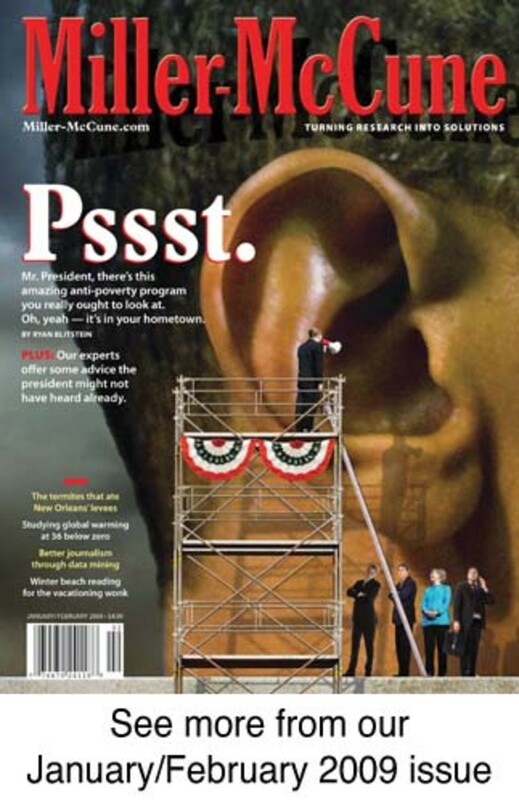 They were aware of it, and they were going to fix it, but they never did." As the country struggled for answers in the wake of Katrina and the Federal Emergency Management Agency&apos;s director, Michael Brown, was compelled to resign amid fierce criticisms of the government&apos;s response to the catastrophe, Henderson resolved to investigate what impact, if any, the termites had had on the floodwalls&apos; failure. "It was the safest I ever felt in New Orleans," he said of his return to the city in January 2006. Immediately, Henderson and his colleagues could see that the buildings and trees closest to the levees had been heavily infested with termites; empty nests attested to their presence. But Henderson couldn&apos;t find any live termites during his inspection, and very few carcasses, in part because termites can live through almost a full day of submersion before they drown. (When inundated, they save oxygen by going into an immobile stupor.) The bodies, it seemed, had been washed away in the flood. But more than 70 percent of the bagasse seams at the London Avenue Canal wall, which sustained two major breaks, showed evidence of insect attack; a 27 percent infestation was found near the 17th Street break, where television viewers watching live Katrina coverage had seen engineers of the corps attempting to plug the leaks with sandbags and clay. In addition, Henderson found that the roots of several termite-infested trees wound through the soil levee right up to the floodwall. While not all of the seam damage could be attributed to termites — red imported fire ants also like bagasse, and their mounds were found at the base of some joints — Henderson made a collection of several dozen tiny, orange, teardrop-shaped heads found in a damaged seam. When he got the orange specks under a microscope, Henderson found himself looking at the severed heads of Formosan subterranean termite soldiers. Since then, he says, he&apos;s used ground-penetrating radar and found the cellulose debris and voids that are typical of Formosan termite dens and that could have allowed water to "pipe" into and erode the soil next to levees, undermining them. 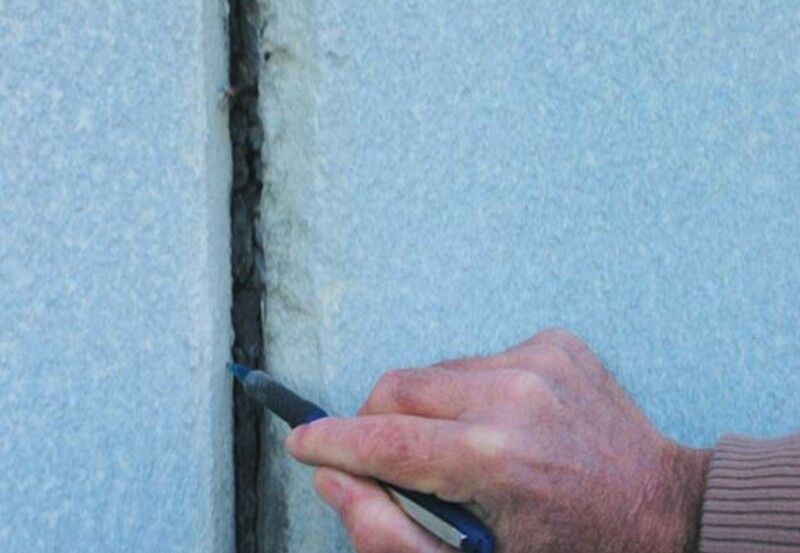 Although the foundations of the floodwall bagasse seams in New Orleans lie 17 feet deep, termite galleries have been found to stretch deeper, down to 25 feet below the surface. In China, most of the piping that leads to dike failures can be chalked up to statistics collected from 1954 through 2001, 3,459 Chinese levees were damaged during that time — more than half by termites. Formosan termites first arrived in the United States on Navy ships returning from China after World War II, infesting port cities with temperate climates from Houston to Charleston, S.C. "We saw the correlation between heavy infestations and where the army barracks were, right along the London Avenue Canal," Henderson said of his surveys in New Orleans. "The termites got in through military transport, and one of the main beginnings of the termite is right there along that canal." 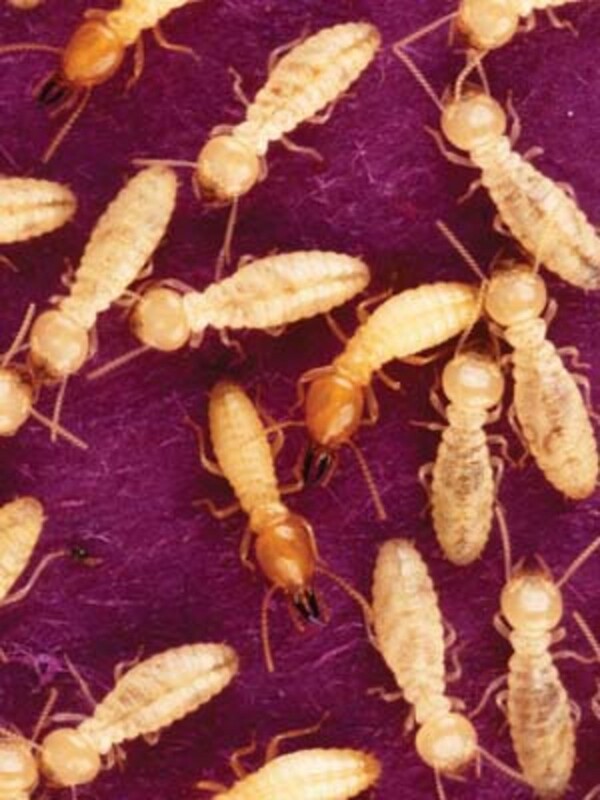 Unlike other termites, Formosans build colonies that number in the millions, partly because they fuse with rather than fight neighboring Formosan populations they encounter. American entomologists have long chronicled the spread and threat of Formosan termites; in 1968, one tunnel excavated and photographed in a Louisiana sand levee was almost 4 centimeters in width. ("Imagine," Henderson said, "the volume of water that could pour through a hole that size.") In 1969, researchers in Lake Charles, La., found tunnels that radiated more than 75 meters from a Formosan termite nest to food sources. While levees face many different threats from biological sources — rodents and fish, in particular, can create tunnels that undermine the soil — Henderson believes the Formosan termites present a real and present danger to America&apos;s levee system. "There&apos;s a lot of wood in the levee system, and this is the species I&apos;m concerned with," Henderson said. 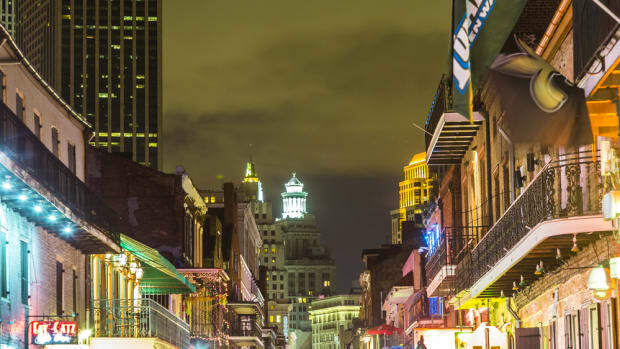 "The problem is going to be centered in the New Orleans area and Louisiana and the Deep South because the Formosan subterranean termite builds into the millions in a colony. My concern is I know they can cause sloughing; I know they excavate a lot of soil." As much as he&apos;s convinced the termites endangered the levees, Henderson is keen to make one point: "The termites alone didn&apos;t cause the floodwalls to collapse." He also stresses that he is an entomologist, not an engineer, and is not looking to place blame on the shoulders of the Army Corps of Engineers. But his observations did result in a spate of media attention in early 2006; he was interviewed by the Discovery Channel, NPR&apos;s Science Friday and a few regional newspapers. In February 2006, The Times-Picayune of New Orleans ran a short story featuring Henderson&apos;s termite research; Jerry Colletti, corps manager for completed public works, told the newspaper that engineers determined that the pinholes created by termites were not dangerous. "The Corps did an evaluation to determine how much water would come through those little pinholes," he said. "The decision was made not to take any action on the joints. We looked into sealing the joints, and it was going to be expensive, and we didn&apos;t see a purpose to it; the pinholes didn&apos;t cause a structural integrity problem." But Colletti acknowledged no one with the Corps of Engineers was a termite expert. A month after that story ran, Henderson met with members of the Interagency Performance Evaluation Task Force investigating the cause of the Katrina breaches and again pressed his concerns about the termites. But the task force&apos;s official post-Katrina report, released in June 2006, made no mention of termites. "We did not find any evidence of that as a problem with any of the failure sites right after Katrina, but that doesn&apos;t mean that it&apos;s not a problem in New Orleans," said Ed Link, a University of Maryland engineer who led the corps investigation. The official report faulted design flaws and laid most of the blame on the massive storm surge from Katrina, "aided by incomplete protection, lower than authorized structures, and levee sections with erodible materials." Still, Henderson continues to investigate the termite link, as he and his colleagues have increasingly turned to ground-penetrating radar to chart the insects&apos; progress through the 350 miles of levees and floodwalls in New Orleans. In the fall 2008 issue of American Entomologist, Henderson outlined several steps to begin curbing the problem, including using wood treatments to repel or kill termites in structures close to levees and replacing the bagasse with a non-food medium, measures the U.S. Army Corps of Engineers says it is moving toward using. "Wherever Formosan subterranean termites are, they need to be controlled," Henderson said. "But the other side of the coin is the cost. I&apos;d hate to be connected with a treatment that costs a bunch of money and doesn&apos;t solve the problem." Henderson says Chinese entomologists are years ahead of the U.S. on Formosan termite research. A 2,100-year-old proverb still in use in China reminds citizens that a very small error can lead to a devastating loss, and Henderson has no trouble understanding its meaning. "They say, ‘A single white ant hole can destroy a 1,000-meter soil dike,&apos;" Henderson says, pausing to let the notion sink in. "Termites were once called ‘white ants.&apos;"